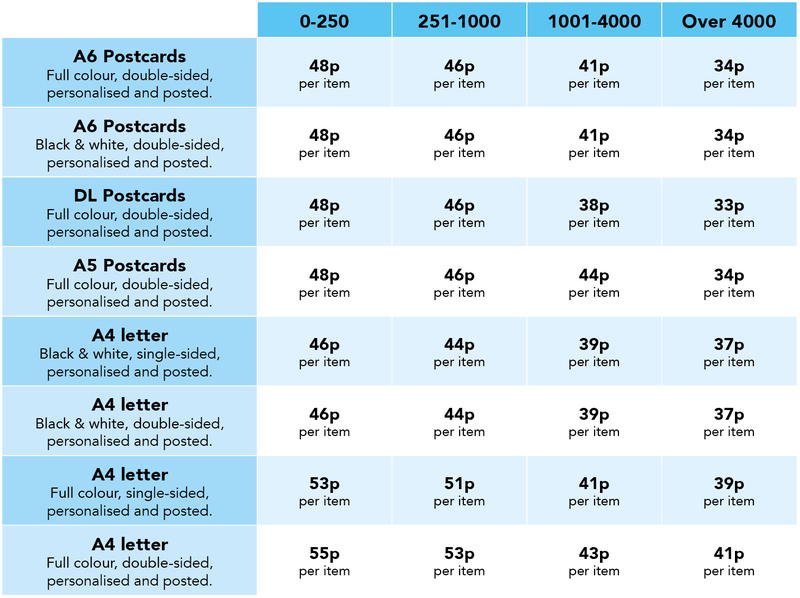 Our prices include all materials, labour & postage and are less than the cost of a stamp! That means huge savings for you! Why not start saving time and money now?